Description: SSC announced final result for Stenographer Grade ‘C’ & ‘D’ exam. Staff Selection Commission - SSC published Final Result of Stenographer Grade ‘C’ & ‘D’ Examination 2017. Stenographer Grade 'C' & D' Examination, 2017 declaration of Final Result-List of the candidates recommended for appointment for the post of Stenographer. 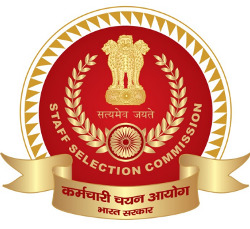 The Staff Selection Commission declared the result of the Written Examination of the above recruitment on 21-11-2017. In the written result, 8469 candidates were declared qualified to be called for Skill Test for the post of Stenographer ‘C’ and 15004 candidates were declared qualified to be called for Skill Test for the post of Stenographer Grade ‘D’.